Canon EOS M6 Review: The Vlogger's Camera? 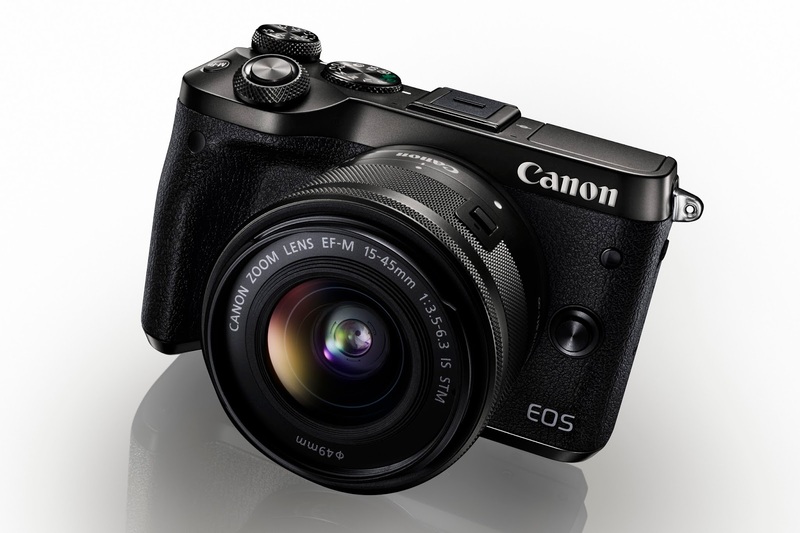 A little while ago Canon released the EOS M6 to add to their mirrorless line up. Here is the spec release blog that we created after being able to have a quick introduction at Canon headquarters. It was feature packed, well built and light. The 24.2MP CMOS sensor and DIGIC 7 processor along with the new additions of Dual CMOS AF and 5-Axis Digital Image Stabilisation were promising a high quality photographic experience. However, I wanted to get my hands on it to prove this. Whilst producing our latest video on the Canon EOS M6 I tested out the usability of some of it’s features to see just how good it was. To look at the specs is to see the possibility of a great vlogging camera. Externally, the 180° flip up screen allows easy self tracking, and a mic input allows for a shotgun or tie clip mic to be attached. Internally the Dual Pixel CMOS AF gives the possibility of smooth in-video autofocus with a push/pull styling and the 5-Axis Digital Image Stabilisation would steady handheld shots. I wanted to test just how well the Canon EOS M6 performed whilst blogging and so I went to Brighton and for a few hours I talked to an inanimate object whilst looking insanely uncomfortable (that’s what vlogging is all about right!?). Ok so I’m not good at it… However the M6 was. Being small and therefore discreet I felt a lot less awkward than I could have done, and from what I could see, so did the people around me. On a busy street a lot of shoppers most barely noticed I existed meaning the shooting felt more real. From a practical point of view the size also meant that my weak little arms didn’t ache - a very unusual situation for me! I shoot a lot of street photography and normally run a Canon EOS 6D with some fast prime. It is a great kit, no doubt. But, being able to walk around with a small but good quality camera is freeing! On top of this, its design fits nicely in the hand (my hand anyway, yours may be different) with a subtle rear thumb grip and a quietly chunky front grip. It feels like you’re not going to easily drop it, which is vary reassuring in a fast paced, busy atmosphere. The flip up screen made a huge difference to the practicality of videoing yourself, I would imagine it would also be very useful for selfies. One slight flaw in the design is that many external mics rely on being attached to a camera’s hot shoe and in doing that on the EOS M6 you block pretty much your whole view of the LCD screen when it is facing front. On the plus side the internal mic is brilliant and on such a small camera I personally wouldn’t want to use a large external microphone. However there are many ways around this if you do want to use an external microphone, for example, a tripod mount hot shoe extension arm which could mount a microphone to the side. Using AI Servo with the Dual Pixel CMOS AF made for smooth, push pull style autofocus with absolutely no effort from the user at all. I tried going from long shots to close ups and it dealt with everything somewhat effortlessly. It also made shooting street shots quick enough so that they were not interfering, therefore producing the most natural results possible. 5 Axis Digital Image Stabilisation, was, for me, the winning feature. I was massively impressed at how well this worked. We were not exceedingly careful when shooting to test this feature in a real life situation. I made sure not to add any stabilisation during post to give an accurate representation of how effective the feature was. The great thing about in body stabilisation is that you can use any lens that fits the mount and still have steady videos. Using the optional Canon adapter this means you can use any Canon EF mount lens; that’s a huge range available for mirrorless without even having to go third party (which you can of course do). Most importantly all of these features were recording full HD 1080p video. No, the EOS M6 doesn’t record in 4K, I know this is an issue for some, but the HD video it does produce is lovely quality and it can shoot up to 60fps so you can shoot slow motion. The one feature I completely forgot to test during my hand on trial - there were just too many other bits to think about! So, in a nutshell, it’s great at video. Canon haven’t forgot stills though. Whilst visiting Sheffield Park Gardens I tested the dynamic range in a high contrast environment. OK, so there are cameras that perform better here, but in this price range it is very good. Using scene modes especially helped to bring down highlights in the sky and bring up the darker foreground. The quick focusing, although not as important for landscape was still very handy and helped to quickly pick out ducks landing on (/crashing into) many of the lakes at speed. It also performed well in the relative darkness of the i360 just after sunset. For such a low light situation the output was impressive with noise not being too much of a factor until we reach high ISO’s such as 3200 upwards. Obviously shooting in RAW shows more imperfections than Jpeg, however they are easily manipulated to reduce noise. Once you have taken all these great images and videos, like other cameras in the range Canon have made sure you can easily share online with built in Wifi, Bluetooth and NFC. Therefore armed with just the Canon EOS M6 a lens and your smartphone, you can shoot edit and upload all over the world. So, for vloggers, explorers, families, days out, holidays and anybody who uses the hashtag “#wanderlust” this camera fits the bill - and it does it for a really reasonable price! It’s a great ‘carry it everywhere with you so you don’t miss anything’ camera and I would certainly recommend it as a step up from a compact and a great daily kit alternative for professional users. 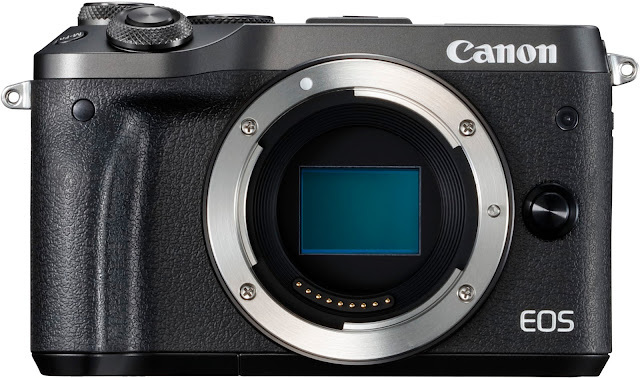 The Canon EOS M6 is available now from only £729 as a body only, and is available in both black and silver from Park Cameras. Gearing up to buy one of these, maybe tomorrow if stocks last. What lens did you use for those shots? PS How did you get Sheffield Park so empty? is this camera better than buying say the canon 77 d - i know it is lot more convenient for carrying around but result wise ? Nearly a week in and my M6, from Park Cameras of course, is doing a fine job. I have yet to put it through its paces – the learning curve is steep – but it allays my fears about not having a viewfinder. (I'm of the Canon A1 generation.) As a general purpose camera when out and about it is easy to handle and to pocket. I still need to find a suitable small case. Not one for those who like to show off with huge cameras and massive lenses, but fine for anyone who wants a step up from something like a first generation DSLR like my 400D. I purchased an M6 a few months ago with a few lenses, I find it a great little camera where a small unit is required (I keep my 5D's for specific purposes) my only gripe is that unless you have small hands it's all too easy to alter settings as your hand rests on selection wheel, I haven't found any means to lock this or the touch screen to stop this inconvenience. If you can purchase the detachable electronic viewfinder it's a bonus. I would recommend this camera especially as a back up for those of you with a larger SLR where it is useful for the holiday snaps where carrying the heavier SLR kit can be a nuisance. This seems to be a great idea to get one. What kind of camera do you suggest for begignners? Thanks. That's a big question Ken! Did you have any particular purpose for the camera? Camera size, desired image quality and budget can all help you narrow down your purchasing decision.